The arm blades are made of spring steel 14260, with 52-54 HRC hardness, have rounded edges and point. Cross-guards and pommels are made of iron, and the final product has a mat or polished finish. Grips can be made of leather, wood, wire, horn or antler. Parts of the arms and suit of armour can be decorated with etching. The price is proportional to the size of the decorated area and complexity of the decoration. 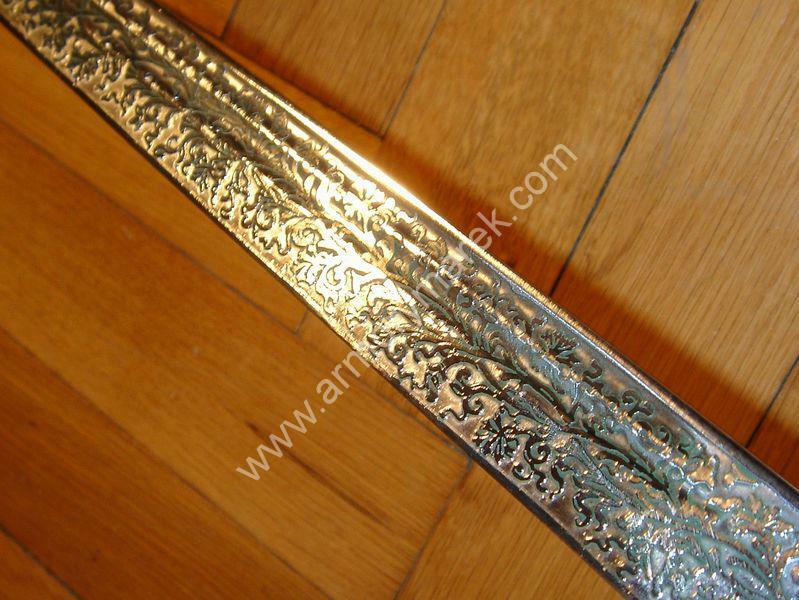 The armour is manufactured from sheet iron, thickness 1.5mm or 2mm at extra cost. Brass parts of the armour are made of 1.5mm sheet brass. 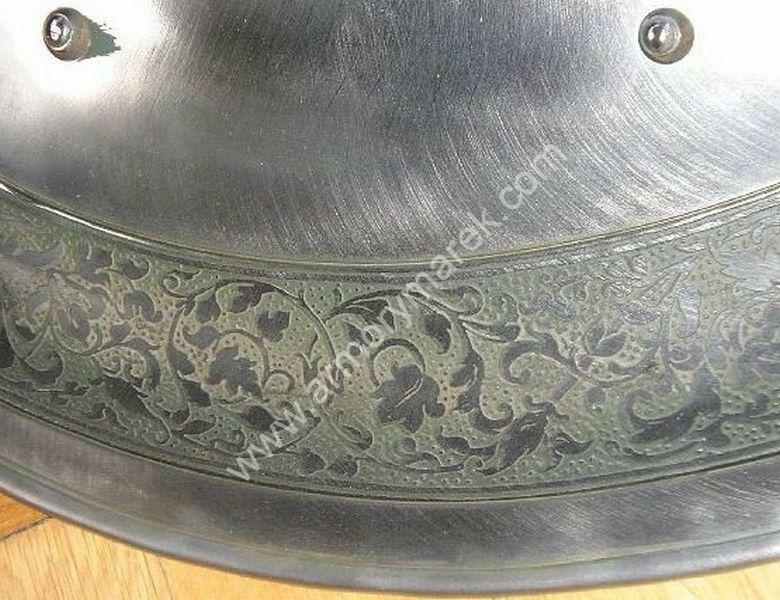 The armour´s finish is polished or mat. All parts of the armour are equipped with straps and buckles. Helmets are padded with stuffing or leather.